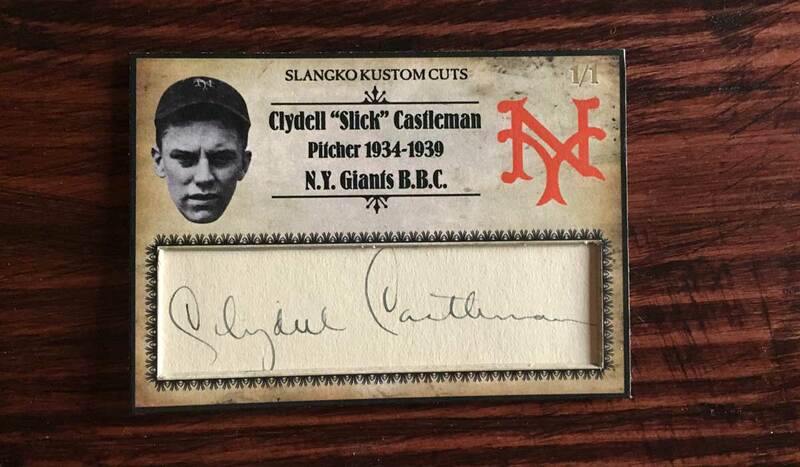 Somewhere along the line I had picked up an old autograph from former New York Giants pitcher Slick Castleman on eBay for cheap. Like $0.99 cheap. I had never heard of him but after doing some research I learned that although his Major League career was brief, there were some highlights. 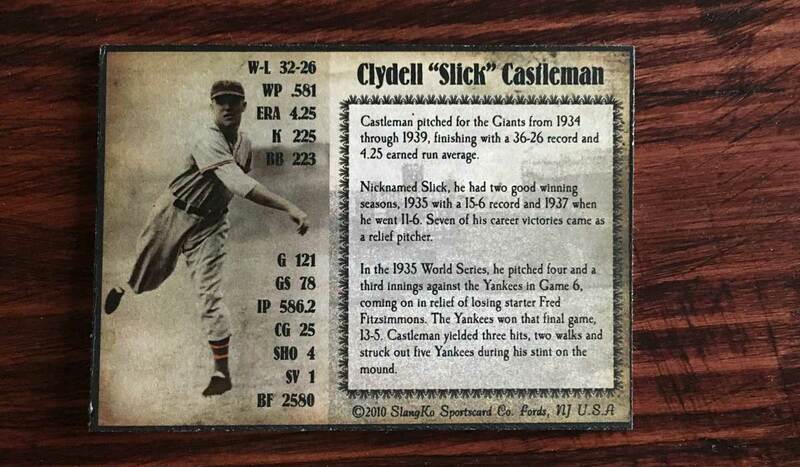 Plus I loved his nickname.